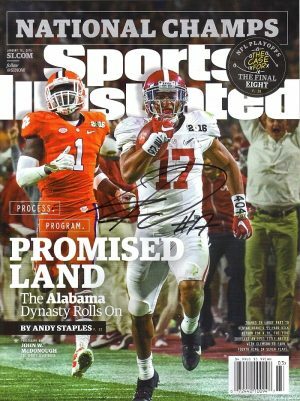 commemorating 2017 National Champions, the Alabama Crimson Tide, in their thrilling overtime victory against the Georgia Bulldogs. 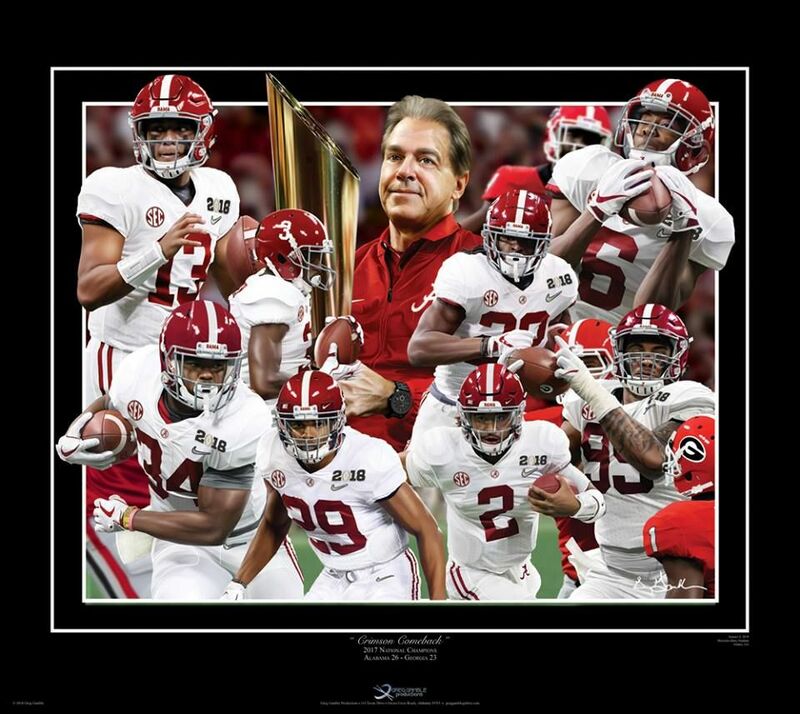 This print features freshman quarterback Tua Tagovailoa, Jalen Hurts, Minkah Fitzpatrick, Najee Harris, Raekwon Davis, Calvin Ridley, DeVonta Smith, Damien Harris and Coach Nick Saban. This print measures 9 x 11 and has been personally hand signed by Greg Gamble the artist himself.